Well, last week was a great one. Not only did I find this magnificent Kleopatra Rose for my garden, but we also planted 2 Black Genoa Fig trees, 2 variegated Cumquat trees, 2 Mulberry, 2 Dwarf Pineapple Oranges, 2 Meyer Lemon trees, a Tahitian Lime and a Kaffir Lime. We have dwarf Avocado, dwarf Mango and Tropical White Peach still to come. Two of my sons are also getting into self sufficiency in a big way, and have planted a staggering array of veges and herbs in some fab new pods they've sourced. Guaranteed to grow, folks. Guaranteed. Savings? I don't really know yet, but with figs at $20-$40 a kilo here, I'm thinking our $350 outlay on our 12 fruit trees, will be repaid in figs alone within a few months! Of course the potential to gift baskets of organic fruit and berries, and lavish bunches of Kaffir Lime Leaves to friends, family and local charitable organisations is enormous too, and the feel good factor in that cannot be calculated! 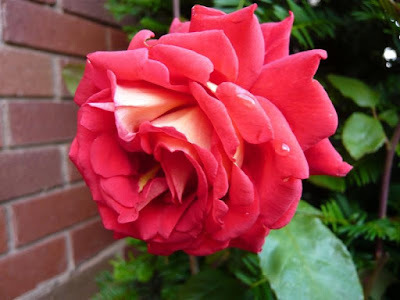 Having plucked two of my new roses from their respective Mother plants, and displayed them proudly for a few days, I was determined to find a way to utilise them to their last breath. Rose petal hand and body scrub was the solution. Equal parts salt and macadamia oil, the petals of one each of my Kleopatra and Just Joey roses, and a drizzle of Rose Geranium scented oil whizzed for no longer than 3 seconds in the food processor, and a gift was born in the blink of an eye. Decanted into a recycled jar, gold heart sticker attached and lush baby pink double satin ribbon holding a bamboo spoon in place, and we're done. The bamboo spoons are available at catering supply warehouses, and they're the perfect thing to scoop this divine scrub into your hand. I'll probably paint the end of the handle with metallic or pearlised paint to tone with the ribbon I think. Savings...well a lavish little gift like this would normally set you back around $20...mine cost about $2. Happy me. This is where it's such a bonus to have clean, recycled jars, gorgeous ribbon, and pretty stickers on hand. You never know when inspiration or the need for an impromptu gift, will strike! I knitted two notebook covers (don't ask, you'll see soon enough), scribed a pile of white butchers paper with suitable festive slogans in cursive script with a fat black pen, made some keyboard dusters (yes, you'll have to wait for that one too! ), and finished some pillow cases for my granddaughters. All in all, I added to my gift pile to the tune of about 17 gifts, at a saving on similar retail items of around $20-$40 each. That's a budget saving of at least $340. Just as well because Christmas is just 60 days away! Of course, my fruit trees didn't save us anything this week, but cleaning, dog washing, catering at home for a small celebration, and baking, certainly did. I would estimate that those things in tandem would have set us back in the realm of $600 if we'd paid someone else to do them. Which, had I been working full time, we most certainly would have, and not thought twice! How did you save this week? This is gorgeous and I will try this recipe. As you know I have roses and love them! Also I am sad to waste them... so this is perfect. I want to try the script lovely paper but my handwriting is pretty icky... but in my mind I have words like Joy to the world and Hark the Herald Angels sing... that I want to write across parcels. Thank you for your comment to Marie, I actually thought that was your finest ever. Excellent! That rose scrub sounds amazing as geranium oil and roses are a spectacular duo! And I must add, I am very excited about your new fruit trees too! We are still nurturing our newbies and hope for fruit very soon! :) The fresh fruit gift baskets are a great idea! Mimi, you won't regret your fruit tree purchases ever. They'll save you so much money for years to come and open up so many new recipes to try. Our citrus trees are on their second lot of fruiting for this year - loads more oranges (like I don't already have a freezer full), mandarins, grapefruit (just right for breakfast at this time of year drizzled with a little honey or agave) and limes. Even the lemon tree is trying to give me more fruit. 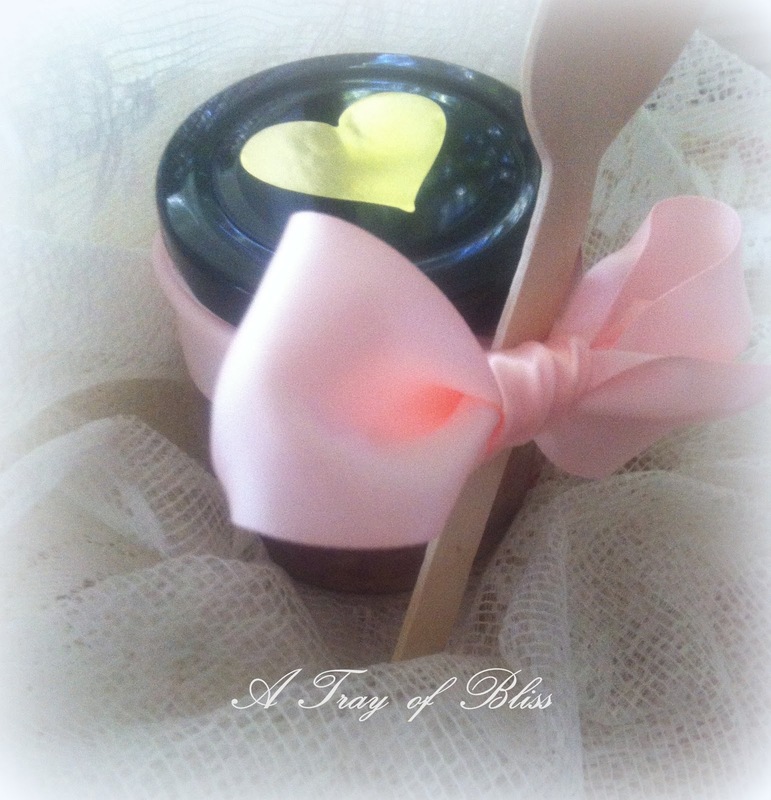 I make brown sugar scrubs for the Christmas hampers, and I'd love to try this one, thank you for the idea and the instructions. Those are some wonderful savings. I'm a little late on starting my gift making and collecting this year. Soon though! 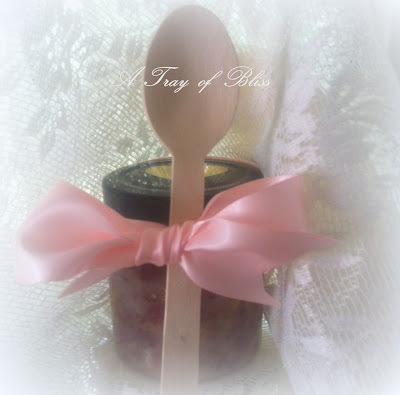 Thank you for sharing your recipe for the rose scrub. 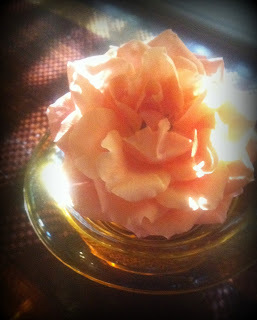 I can't wait to try it next year when our roses are once again back in bloom. Wow! Reading all you've been up to has made me tired. I don't think I'd get all that achieved in a month, let alone a week. Can I borrow you just for one week. Eeek! Don't mention Christmas - I've not even made a Christmas card list. You are super organised.